If Oliver could talk, he’d probably constantly be saying “Please, Sir, I want some more,” because this dog is a young, active boy who always wants more of everything, whether it’s attention, toys, playtime, or food. At just 9 months old, he’s a bundle of goofy energy, so a big fenced-in yard or daily long walks would be ideal. 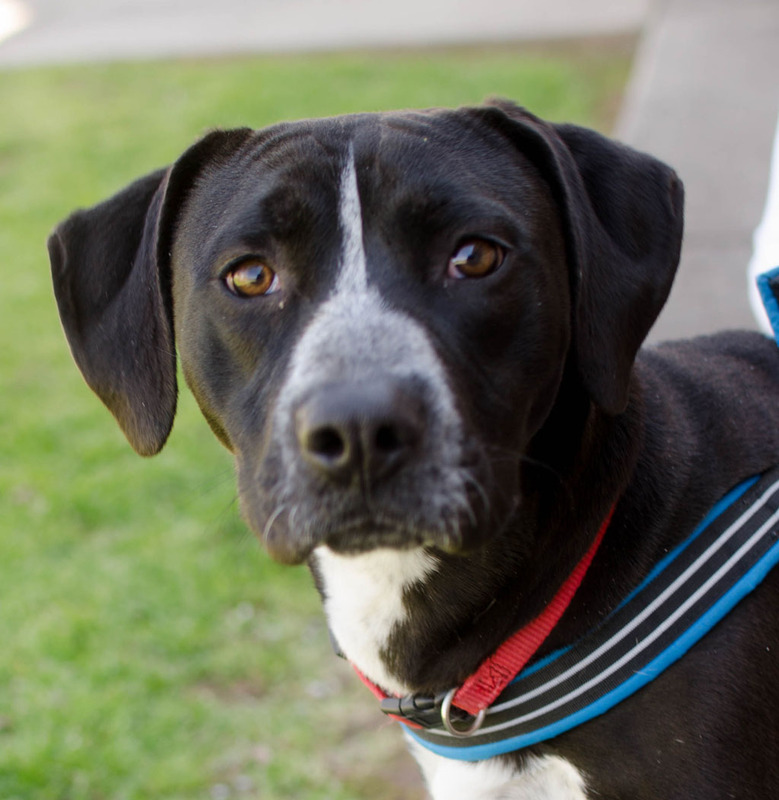 He’s a handsome black-and-white Retriever and Border Collie mix with an expressive face and loads of puppyish charm. Oliver never meets a stranger and seems quite eager to make doggie friends. 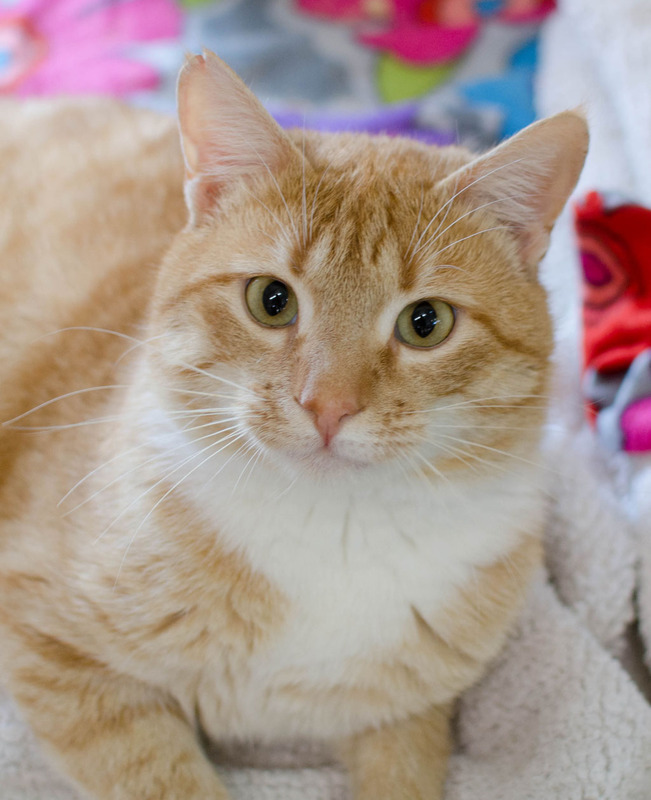 This playful charmer might just be what you’ve been looking for, so meet him today. Ask anyone who’s met Monty, and they’ll tell you he’s a lover, not a fighter. 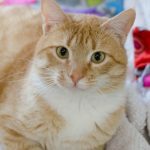 Everything about this dapper kitty is charming, from his handsome orange and white coat and his big golden-yellow eyes to his sweet, affectionate personality. He’s fully grown, a little over two years old, and a rather big fellow. But that doesn’t stop him from wanting to be a lap cat. Monty is always eager to show just how much he loves attention, immediately purring when he’s picked up. This is one happy boy who is sure to bring joy to any household. He seems to like other cats and kids, and he even appears to be content to share his space with dogs. 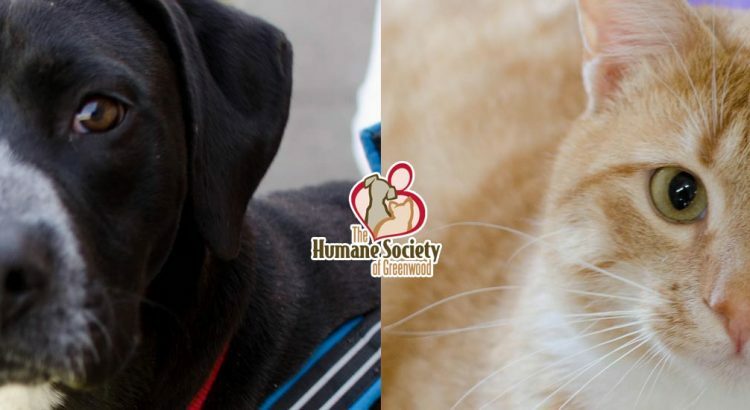 Monty is a pure gem, so visit him at PetSmart in Greenwood today.